We'll give you one! A birthday, shower, engagement, farewell....do you need us to go on? The point I'm trying to make here is, no matter what the excuse for your party, we can help. You probably know pretty well by now about our Little Miss Party in a Box collection. We designed these party boxes with the intension of their being extremely versatile. Take our Chic Party Box for example. We love bold black and white patterns with yellow and gold accents, but what we love the most is that you can customize this party with so many different themes. Let's say you're throwing a party for your son who is super into trucks and cars. You can make his party an "On the Go" theme. Aren't all little boys always on the go...? MINE ARE! 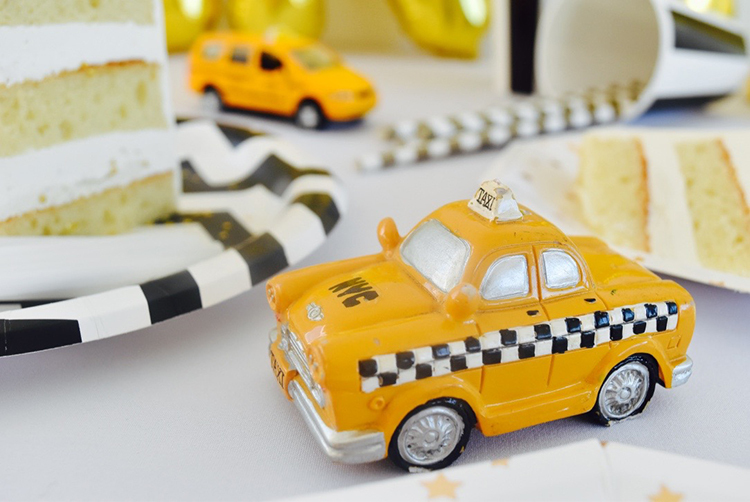 Take mini taxi cabs and use them as food place cards. 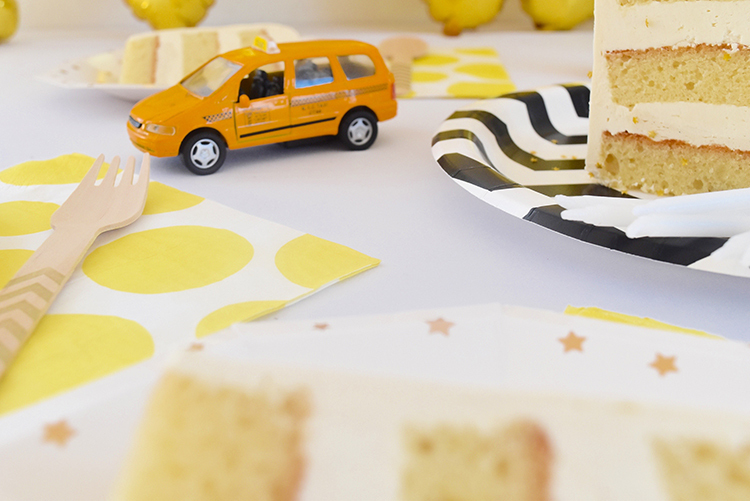 You can hot glue gun small food cards right onto the taxi cab sign on the top. 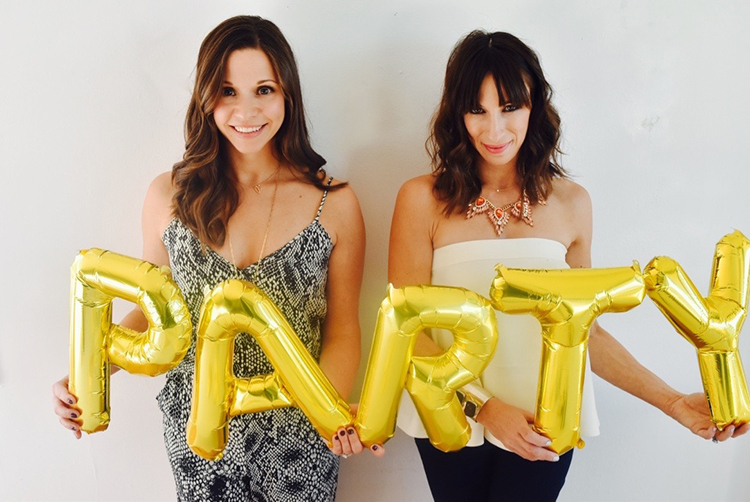 Now blow up your PARTY balloons (each letter comes with a straw and no helium is required!) and let's PARTY! Find more of Little Miss Party in a Box on Diapers.com and enjoy 20% off Paperless Post printed invitations when you shop the box.